Clean park, but close. They seem to use every available space to jam in more campers. Not terribly dog friendly although there is a fenced space for them. Train/road noise and mosquitoes are a problem. Check in was smooth and very friendly. We did not use the restroom so I can not comment on the condition. What I can say is that this place is perfect for a quick overnight stop. There are only a handful of sites that are cement pads, and if you have a big rig you will not fit in them which is somewhat disappointing as it states the sites are paved/cement pads. 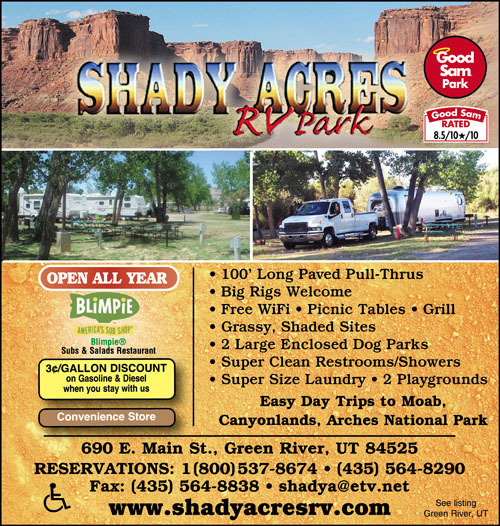 The campground is clean overall, and located right off the highway. If traveling with pets that like grassy areas the dog park does not have any in it. Again perfect for an overnight, but not for any length of time. Convenient and well kept park right off the freeway. Office manager met us at the office as we got in after hours. Very friendly person, offering discounts to services in the area. Space was on gravel so we had to level our trailer a bit. Electrical and Water were a little awkward to get to for our size of trailer, but it worked fine. Wifi was okay. Great place to camp. Very nice space and people at desk were willing to make arrangements for us even though we were running late. Will definitely stay there again!!! The campsites are ok, wide enough with enough space for tow vehicle parking. I use an AC voltage monitor for obvious reasons; when I got set up the voltage was at 110-112 - marginal but ok to start. Turned on AC as did the majority of the park and voltage dropped to 102-103. Turned everything off, switched the fridge over to gas, all lights off and voltage returned to 110. AC back on and the voltage was at 106-107. Not acceptable, BEWARE of power fluctuations - could really cause serious issues with your rig. Fantastic folks. Very helpful in giving information on the local sights. We did not think there were so many great places to see. 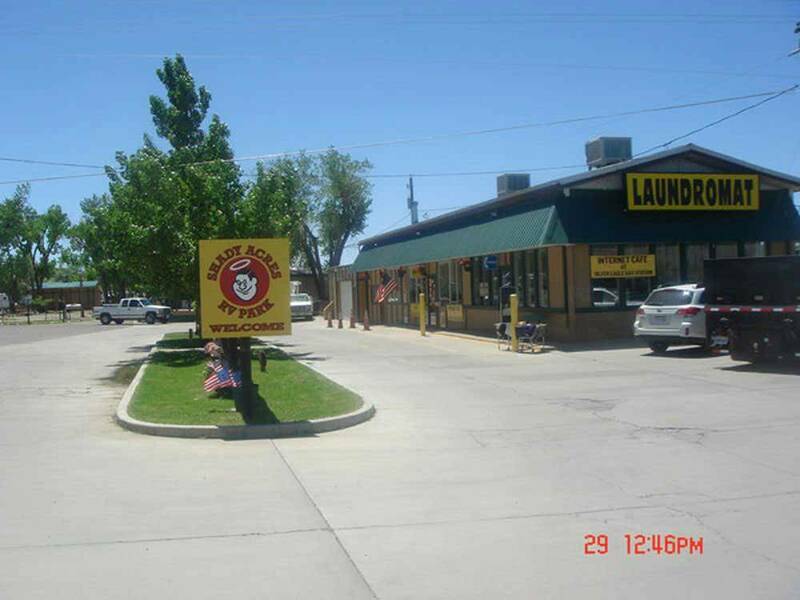 The park was well kept and the laundry was up to date and a pleasure to use. Nice park friendly greeting. They have an off leash dog area, a big plus for us. No cable though. Sites are fairly level and the park while older seems to be in good shape. We were well off the main road so it was very quiet. I suppose it could be worse, but not by much. I'm surprised Good Sam would even have their name associated with this place. The office lady was nice enough and gave us discount coupons to local restaurants and there is an RV wash right next door but oh my, what a dusty, dirty place! Our site was not easily marked. Thank goodness it was still light. We would never have found the right spot in the dark. Lots of weeds, dirt, stickers, etc. The lights at each spot didn't work so by nightfall it was pitch dark. Oh, and don't forget the millions of mosquitoes. I only sat outside for a few minutes before they made themselves at home. We were lucky and had full hook-up but NO WI-FI. It's 2016 folks - really? Nope, I can't recommend this place. It needs a face lift, some asphalt, grass, light bulbs, etc. I'd rather stay in a Walmart parking lot and dry camp. We called and made reservations. There were 2 pull behind trailers ours and our friends the Days. When we arrived it was getting dark and we had to go to the gas station to register. He gave us two spot numbers which we had to search for and when found they did not have full hookup. So back to the station we went so he gave us two more numbers which were way on the other side and we had to walk with flash lights to find. The park was very mosquito infested could hardly hookup without being bit numerous times. The office was not even open in the morning when we left at 9:30 am This park is way over rated and we have been staying at Good Sams Parks for years. Also we were supposed to have a cement parking pad did not get that yet there were several empty. Would not recommend this park. What a dump. Do not believe the pics. This place is a dump and I wish that I would have kept driving. They haven't put a single drop of water on their "grassy" areas in years. dusty, and unappealing park, sewer not available at some sites, best spots are way in the back where the big rigs go. trailer was a dusty mess every time dogs were walked, also had stickers in the sparse grass there. Not a pleasant experience. Better to stay at the State Park but no sewer there. A bit pricey for the area but a nicely laid out park. A word of warning however. There were goat head thorns in the immediate area of the water, sewer and electric hookup which attached themselves to our shoe soles. This is my first encounter with this weed and I hope my last. These things are easily carried into your RV and are very painful if stepped on with bare feet. I saw no sign of attempts to eradicate this weed while we were there. It appeared to be growing unabated in many RV sites near ours.